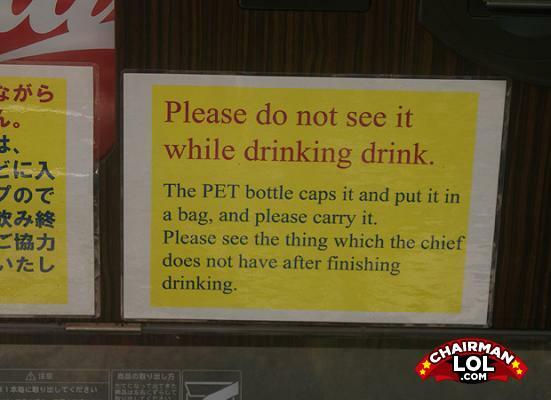 If you can see the thing which the chief does not have, you really should stop drinking! Why do they even continue trying to translate stuff? It must be a national custom of teasing the tourists.